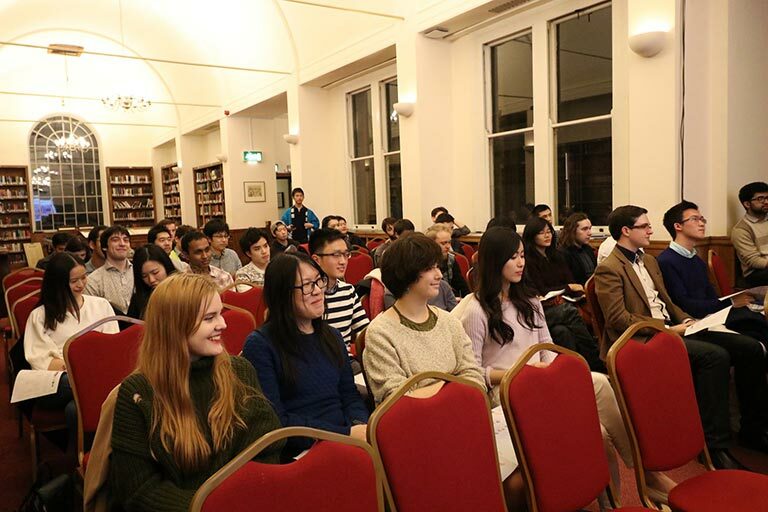 Sake Samurai UK, administrated by Yoshitake & Associates, is pleased to enter into a working partnership with the Cambridge University Anglo-Japanese Society (CUAJS) to develop UK-Japan relations and mutual understanding. 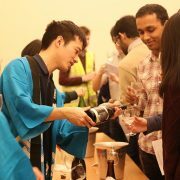 For the launch event, a jointly organised sake tasting evening was held. 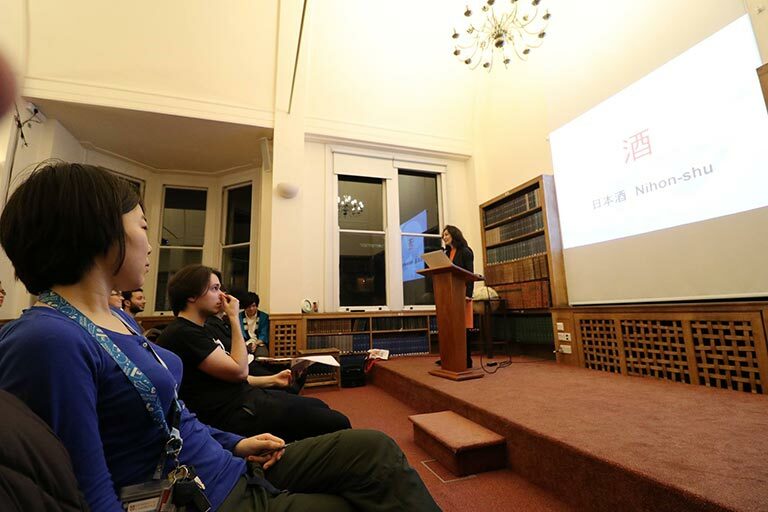 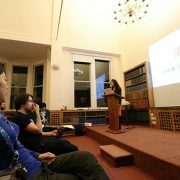 Cambridge University Anglo-Japanese Society, commonly referred as AJS, is a society affiliated with the University of Cambridge, founded around 1880s with the aim of promoting Japanese culture in Cambridge. 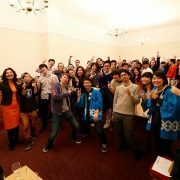 AJS is the biggest Japanese society in Cambridge with 800 registered members, most of whom are non-Japanese undergraduates.. Events are run mainly by Japanese undergraduate students in the university and are of a social and cultural bent, such as the New Year’s Party, sushi-making events, film nights, calligraphy lessons, or even Japanese lessons. 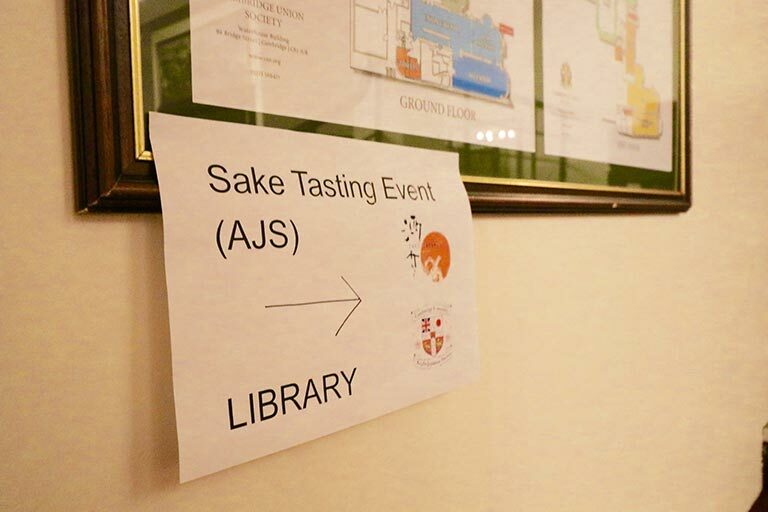 This year, for the first time in its history, AJS hosted a Sake tasting event on 3rd February at the Cambridge Union Society in partnership with Sake Samurai UK. 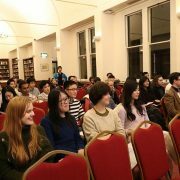 Kenji Baba, the chairman of AJS, in collaboration with Mikihisa Shiratori from MAFF in Japan who are currently studying at Cambridge, collaborated with Rie Yoshitake from Sake Samurai UK to host this event with the intention that this tradition should continue down the generations. 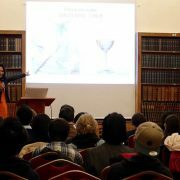 The launch event was very well received and tickets were sold out to 45 keen members. 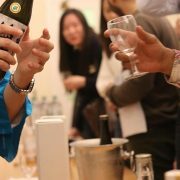 After a short sake film and a presentation by Rie, guests tasted 8 different kinds of sake including Futsushu Ginjo, Junmai Daiginjo, sparkling sake, Koshu, Umeshu and Yuzushu. 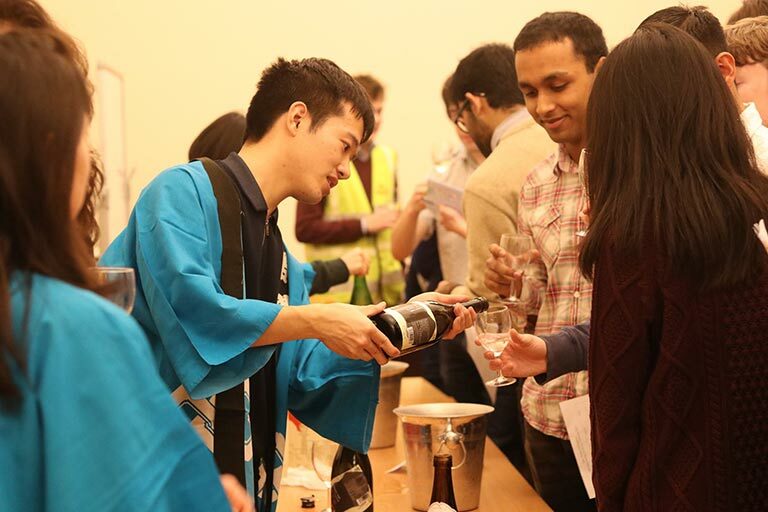 People expressed their surprise upon learning about Sake’s diversity. 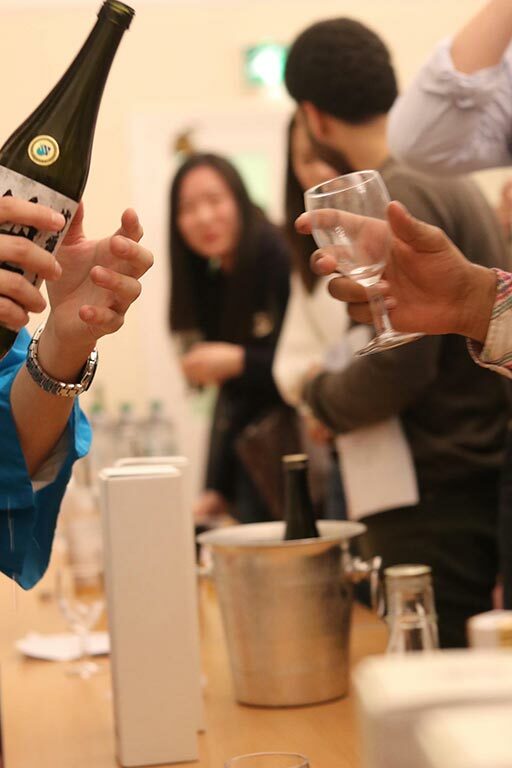 On a very cold Friday evening, attendees enjoyed this rare opportunity to try many different kinds of sake in a cozy Cambridge room toasting forJSStheir new friends with a heartfelt Kampai! 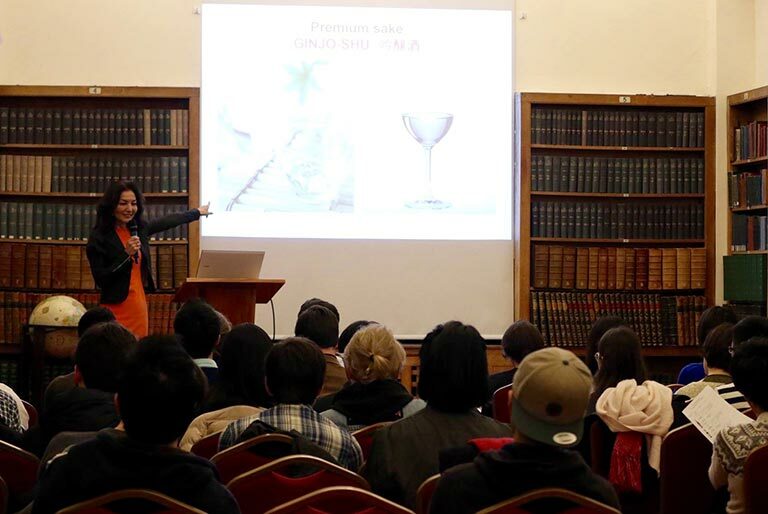 The results of a vote that evening indicated that the Junmai Ginjo ‘Tondasake’, was the firm favourite,while Urakasumi was the second favourite. 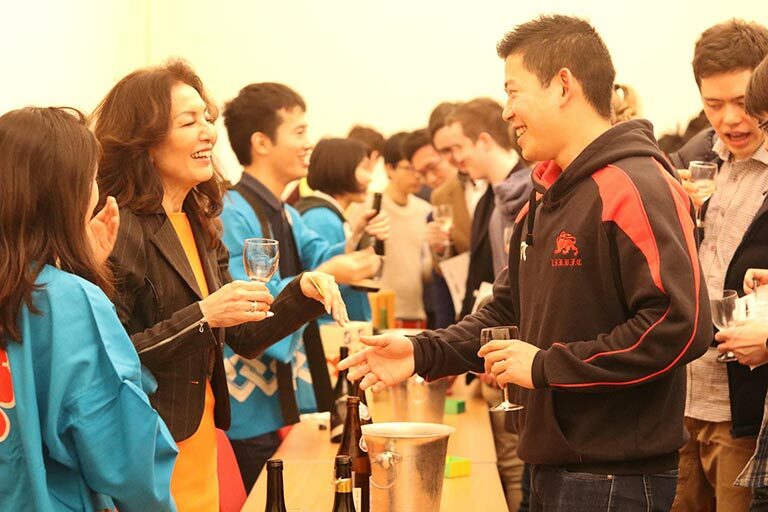 Kotobuki Brewery, the brewrers of Tondasake, has ties with Dojima Brewery, which is the first sake brewery in Cambridge and in the U.K. 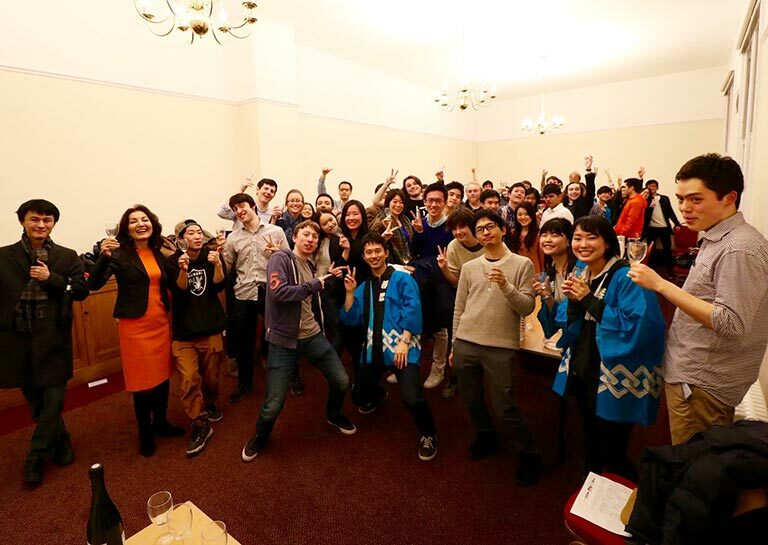 Sake Samurai UK wishes to thank the team of AJS for a warm friendship built over sake, and for their interest in developing UK-Japan relations further.